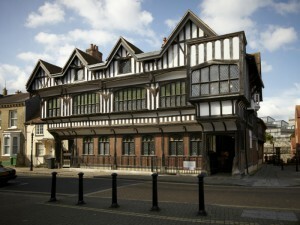 Discover Southampton’s most important historic building, encompassing over 800 years of history on one site. Tudor House Museum, with its beautifully recreated Tudor knot garden, is just a few minutes walk from the city centre. Enjoy a vivid and exciting audio-visual show which explains the history of the house, alongside interactive screens that rotate to show how the rooms would have looked during different historic periods, in particular the Tudor, Georgian and Victorian eras. A selection of restored artefacts of historic importance are on display in the fascinating museum, including a number of archaeological finds dating back to the medieval and Tudor periods. After a tour of the house, you can enjoy a cream tea in the café overlooking the tranquil Tudor knot garden. 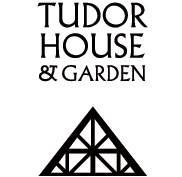 Check the Tudor House and Garden website www.tudorhouseandgarden.com or call 023 8083 4536 for opening times and admission charges. Southampton City Art Gallery is internationally renowned for its permanent collection which features around 3,700 works. These span eight centuries and tell the story of western art from the Renaissance to the present day. The core of the collection is twentieth century and contemporary British art. Free to enter and conveniently located right next to SeaCity Museum, the venue caters for families. You can enjoy gallery trails through the exhibitions, monthly art clubs and a fantastic range of activities for all ages. Visit www.southampton.gov.uk/art for more details. 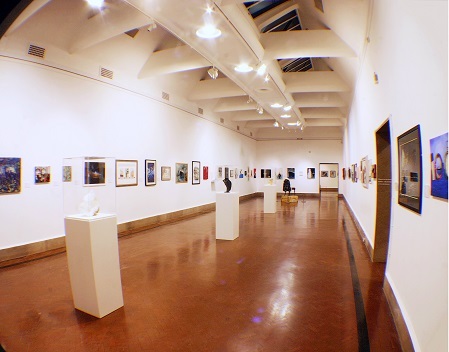 Southampton City Art Gallery is open Monday – Friday 10am – 3pm and Saturday 10am – 5pm, closed Sundays. 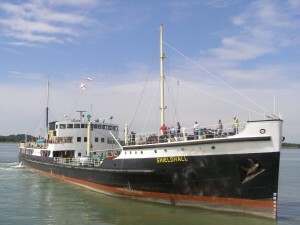 SS Shieldhall is a heritage cargo/passenger steamship included in the National Historic Fleet. Launched on the Clyde in 1955, she was built on classic lines and retains her original machinery and traditional wheelhouse. Withdrawn from commercial service in 1985, she was purchased by the Solent Steam Packet Charity who continue to operate Shieldhall today. Now based in Southampton and operated by a team of dedicated volunteers, enjoy alongside functions or sail along Southampton Water / The Solent with a selection from 2 hr to all-day cruises. As part of your visit, see the impressive engine and boiler rooms with their original steam engines at work and the bridge, with its traditional instruments and gleaming brasswork; talk to the captain and crew; listen to the commentary as the Shieldhall passes the sights of Southampton Water and The Solent; get up close to the Great Ocean Liners and container ships; walk the teak decks; relax in the Saloon with a wide range of refreshments including tea / coffee, a range of Titanic Ales, wine and hot and cold food.